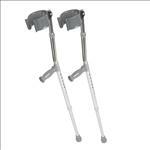 Guardian 7/8" Super Crutch Tip; MUST CALL TO ORDER . Large surface area provides superior tracking. � Heavy-duty latex-free rubber tip flexes for cushioning and shock absorption. � Reinforced with metal insert for extended wear. 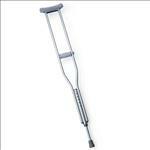 � Fits aluminum and wood crutches.